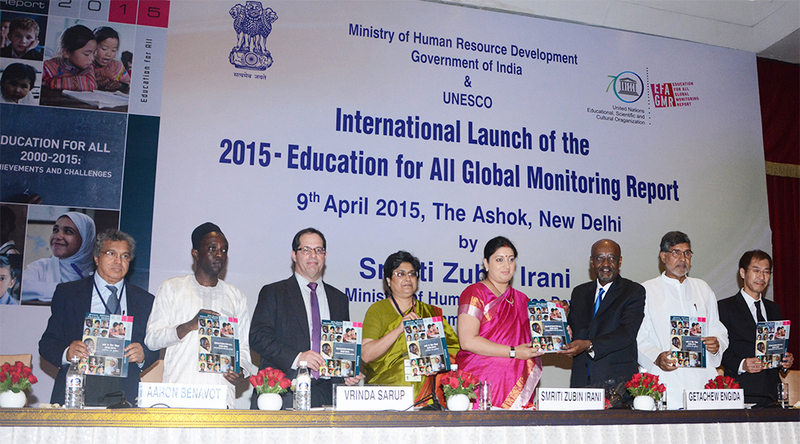 The 12th Global Monitoring Report (GMR) “Education for All 2000-2015: Achievements and Challenges” launched in New Delhi, India provides a comprehensive assessment of the progress made since 2000 towards the achievement of the Education For All (EFA) goals agreed upon in the Dakar Framework. Goal 1. Expand early childhood care and education, especially for the most vulnerable children. Forty seven percent of countries reached the goal and another eight percent were close. Twenty percent were very far from the goal. Yet, in 2012, nearly two-thirds more children were enrolled in early childhood education than in 1999. Goal 2. Achieve universal primary education, particularly for girls, ethnic minorities and marginalized children. Fifty-two percent of countries achieved this goal; ten percent are close and the remaining thirty-eight percent are far or very far from achieving it. This leaves almost 100 million children not completing primary education in 2015. A lack of focus on the marginalized has left the poorest five times less likely to complete a full cycle of primary education than the richest and over a third of out of school children living in conflict affected zones. There have been important successes: Around 50 million more children are enrolled in school now than were in 1999. Education is still not free in many places, but cash transfer and school feeding programmes have had a positive impact on school enrolment for the poor. Goal 3. Ensure equal access to learning and life skills for youth and adults. Forty-six percent of countries reached universal lower secondary enrolment. Globally, numbers in lower secondary education increased by 27% and more than doubled in sub-Saharan Africa. Nonetheless, one third of adolescents in low income countries will not complete lower secondary school in 2015. Goal 4. Achieving a 50 per cent reduction in levels of adult illiteracy by 2015. Only 25% of countries reached this goal; 32% remain very far from it. While globally the percentage of illiterate adults fell from 18% in 2000 to 14% in 2015, this progress is almost entirely attributed to more educated young people reaching adulthood. Women continue to make up almost two-thirds of the illiterate adult population. Half of sub-Saharan African women do not have basic literacy skills. Gender parity will be achieved at the primary level in 69% of countries by 2015. At secondary level, only 48% of countries will reach the goal. Child marriage and early pregnancy continue to hinder girls’ progress in education as does the need for teacher training in gender sensitive approaches and curriculum reform. The numbers of pupils per teacher decreased in 121 of 146 countries between 1990 and 2012 at the primary level, but 4 million more teachers are still needed to get all children into school. Trained teachers remain in short supply in one third of countries; in several sub-Saharan African countries, less than 50 percent are trained. However, education quality has received increased attention since 2000; the number of countries carrying out national learning assessments has doubled. Education, needless to say, is one of the most powerful tools for transforming human lives, nations, society and world at large. 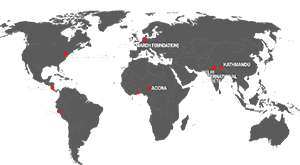 Global March, since its inception in 1998 has worked towards the rights of children to receive free and meaningful education. Through its model of Triangular Paradigm, Global March clearly establishes that child labour, poverty and illiteracy are inter-connected global goals and thus the need for a unified response for the achievement of these goals. With the world now shifting its attention to the World Education Forum in Incheon, Korea in May and subsequently the adoption of the post 2015 development agenda in September, it becomes binding on policy makers, civil society and the international community alike to focus on ‘quality education’ and the inclusion, especially of the ‘hardest-to-reach’ children in the discourse on education. 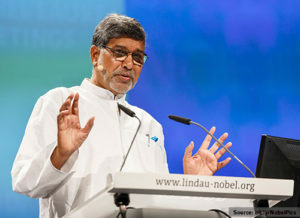 Speaking at the launch of the EFA GMR, Nobel Peace Laureate, Kailash Satyarthi said, “When one door of a classroom opens for a child, a million doors of opportunities open up. There is no other powerful tool than education to break the shackles of mental and social slavery. Education is the pre-requisite for social and economic justice, sustainable societies and effective democracy. There is no source of light as bright as education”. He also emphasised on the importance of a strong political will, sufficient budgetary allocation for education, proactive civil society and a sensitised and engaged community for ensuring that no child remains bereft of education. With the 2015 EFA goals coming to an end, it is vital that the post- 2015 education goals are clearly defined, robust, realistic and well resourced. It is important that the children left behind in 2015 are prioritised in the post-2015 education goals. While we must applaud the progress made in the last fifteen years, let us not ignore the 57 million children who still remain out-of-school. Without doubt, the only way to secure a brighter future is a renewed commitment to quality, inclusive and equitable education.